Jason was professional, provided great feedback and advice. I will definitely use him on other projects. Jason is a find. Excellent work -- efficient, dependable and fairly priced. $4K for A/V system plus $200 a month to TWSD were unusable. Jason hardwired to TV and repositioned wireless modem to "enliven" dead spots in my older home. Highly recommend and will use for upcoming remodel. I am writing you today not to submit my highest compliments and kudos to Custom Touch Electric, located at 1060 Emelita Street / Fallbrook, California 92028. Jason (the Owner) and his staff (Cierra) truly went above and beyond to assist my wife and I with a water heater emergency situation. Because of a defective part (unknown to Jason), we experienced a significant water leak within the water heater - When my wife contacted Jason to report the problem, he assured her that he would have someone there within the hour to assess and correct the situation. When I called the office phone for Custom Touch Electric later in the evening to report that we still did not have hot water, to my surprise, Jason picked up the phone - He again assured me that he would do whatever is necessary to find out why this had occurred and make sure we were completely satisfied. In this day and age of “non” customer service, it is so very encouraging to find a business as Custom Touch Electric who honestly stand behind what they sell and do. I am not sure whether this business is listed as one of your preferred businesses, but if not I would most highly like to nominate Jason and his fine staff for a deserved award for a JOB WELL DONE. Honest and good person. Will be calling if any electrical issues arise in the future. I had a last minute electrical project come up. 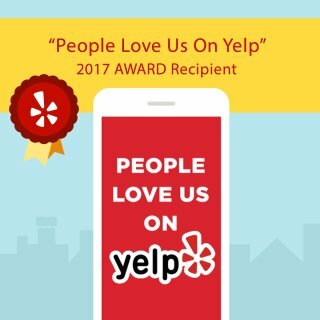 Found Jason with Custom Touch on Yelp and gave him a call. He answered the phone right away and he agreed to come over the next day. He was prompt, courteous, assessed my needs and gave me thorough advice. His straight forward pricing structure was excellent; taking the guess work out of the cost of the project which was a relief. He actually came back the same day and completed the project! He and his crew were courteous, professional and left my place spotless. 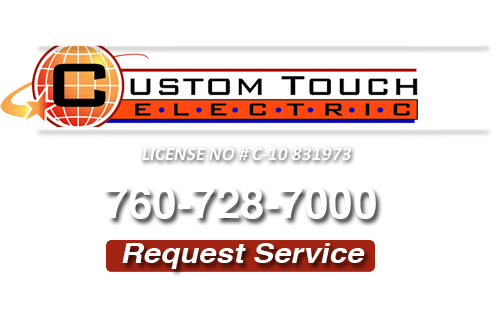 If you have electrical work that needs to be done, call Jason and Custom Touch Electric. He will be my go-to electrical professional going forward! You won't be sorry! Fantastic, professional, fast and friendly. We will definitely use them again and will recommend to our friends. I lost power to a whole area of my house. The service tech arrived within the given time frame, was very polite and professional. He went right to work troubleshooting the problem, which turned out to be quite a task. I have an older home, so the wiring can be a bit hard to follow. Although it did take some time, the problem child was finally found, and we were back up with power in no time after that. With the time that it took, I was expecting my wallet to take a pretty hard hit. But much to my surprise, that was not the case. Custom Touch's rates were extremely reasonable. I would recommend Custom Touch Electric without hesitation. Quick, courteous, professional and friendly! I bought a dishwasher and was going to install it myself, which I did; however, upon second assessment I wasn't going to touch the electrical. I came across Custom Touch on here and noticed they were opened on a Saturday. I gave Jason a call and he was here within a matter of an hour. Got the job done quickly and was very fair priced. I will definitely be calling them in the future when other projects come up! We called Jason when a failed mainswitch/breaker caused our home to lose power. He came within an hour. His check of local suppliers could not locate a replacement. He then left, called around to other electricans and was able to obtain a new switch. So late the same day he was able to replace the switch and get us going again. He made an extra effort to get us up and running the same day. His service was good and the cost was fair. Had a main switch failure - Custom Touch fixed it after having to call around for proper new parts, back working by the end of the day. Service was really good and the cost was fair. Never had to call an electrician before...but when I did...I was surprised. This company actually answered thier phone, and I talked to got a real live person. Fortunately, my problem was nothing major. They arrived when they said they would. That is a bonus. They were in and out and it did not cost me my life savings. Thanks for a job well done. I will definetly call again with any future needs. I am writing you today not to submit my highest compliments and kudos to Custom Touch Electric, located at 1060 Emelita Street / Fallbrook, California 92028. Jason (the Owner) and his staff (Cierra) truly went above and beyond to assist my wife and I with a water heater emergency situation. Because of a defective part (unknown to Jason), we experienced a significant water leak within the water heater - When my wife contacted Jason to report the problem, he assured her that he would have someone there within the hour to assess and correct the situation. When I called the office phone for Custom Touch Electric later in the evening to report that we still did not have hot water, to my surprise, Jason picked up the phone - He again assured me that he would do whatever is necessary to find out why this had occurred and make sure we were completely satisfied.In this day and age of “non” customer service, it is so very encouraging to find a business as Custom Touch Electric who honestly stand behind what they sell and do. I am not sure whether this business is listed as one of your preferred businesses, but if not I would most highly like to nominate Jason and his fine staff for a deserved award for a JOB WELL DONE. The new panel that you installed is working out great. Thanks for answering our call so quickly. It was an unexpected breakdown and we needed our company back up and running ASAP. Thanks again! Thanks so much guys, the new lighting setup makes my house look so much better than it did. It's refreshing to have a reliable and knowledgeable electrician that we can count on for advice and skills. If you are looking for a Fallbrook Electrician then please call 760-728-7000 or complete our online request form.